I’m Kelsey Barker, and I am the Teacher Librarian at Longfellow Middle School in Norman, Oklahoma. I have blogged for 52 Weeks of GID before (here and here), and now I’m back again! I can’t get enough GID. 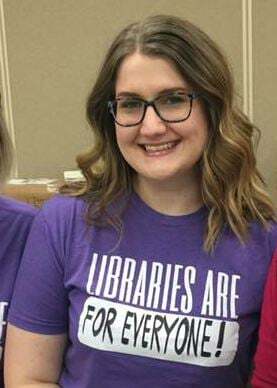 Here I am, showing my love for libraries! When I attended my first GID institute with Leslie in the fall of 2015, I was the librarian at an NPS elementary school and brand new to the job. I fell in love with the process and the way that students were fully engaged in deep level learning. When I moved to middle school last year, there was no question that I would be working to implement Guided Inquiry at my new school as well. I have seen learning miracles happen through GID. My first GID Institute team! 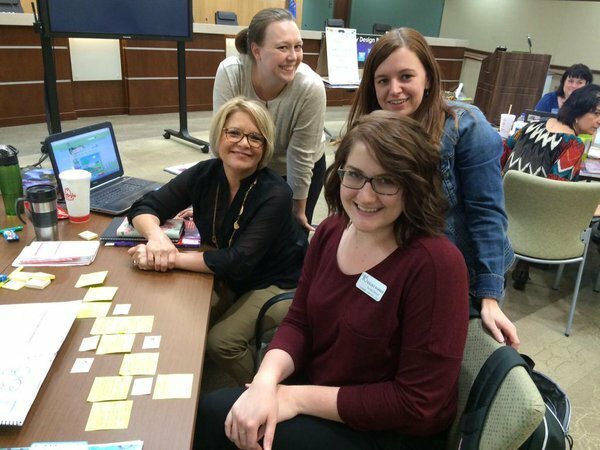 Like Cindy, who you heard from a couple of weeks ago, I am also a Guided Inquiry district trainer for Norman Public Schools. This has been an incredible opportunity to share my love of Guided Inquiry with other teachers in my district. I love watching these amazing educators grow in their profession, and it’s so rewarding to see their excitement to implement a unit with their students. 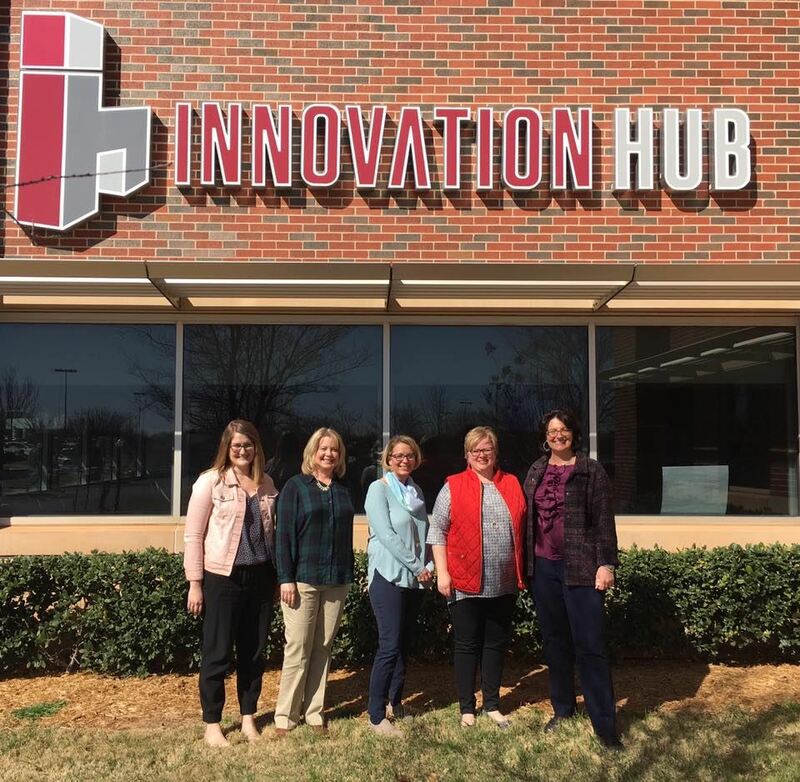 My most recent GID institute team… the district trainers! How do I guide my students to ask high level inquiry questions that stem from their own interests but meet the need of the classroom curriculum and state or national standards? I am not ashamed to share that I too wondered this at my first institute in 2015. In fact, I wrote it on a sticky note in my institute notebook after day one. Looking at the big picture of unit design, it can be hard to understand GID can help students connect deeply with the content if we are allowing them choose the inquiry questions they ask. At the time, I understood that this is where the Guided part of Guided Inquiry came in: students require guidance to ask the questions that will lead to a successful inquiry experience. But honestly, I had no idea how to do it. Now, with hundreds of hours of collaboration with fantastic educators and nearly 20 units under my belt, I’m excited to share what I have learned about guiding student question with all of you. Over the next few days, I’ll be sharing several specific strategies I have used with my students to guide them to high-level inquiry questions that meet the needs of the curriculum and engage the individual student. I’ll be back this weekend with my first four strategies, but in the meantime, I’d love to hear from you! Do you have questions about student questioning? What’s your biggest hurdle around inquiry questions? Do you have a great strategy for guiding student questioning?